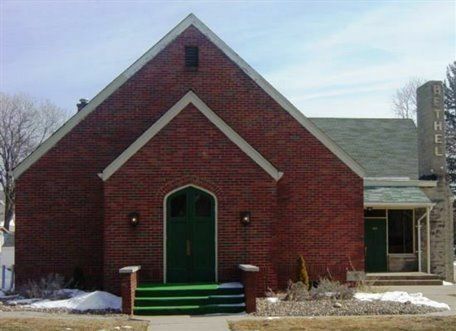 February 1999: Victory Christian Center (now Victory Church) holds its first service in the basement of a Bloomington real estate office. The 13 people in attendance hear Pastor Ed's heart and calling to establish a life-giving, spirit-filled church planted in the soil of Bloomington-Normal. The vision "A Safe Place to Grow" sprouts. July 1999:: With a congregation of 40 people, Victory makes the move to a church building located on South Clinton Street. Completely remodeling the building to accommodate growing ministries and services, the church family expands. May 2006: Having over-reached building capacity, Victory Church holds its last services on South Clinton Street on Mother's Day. Early 2006: By the Grace of God, Victory purchases 5 1/2 acres on U.S. Highway 150. May 2006: Victory becomes a "church in a box", holding services at the interim location of Normal Community High School. Attendance grows from 140 to 220 during the 18 months at this location. Meanwhile, out on Highway 150, Victory pastors and volunteers meet with contractors and begin to build the new building. A new worship center takes shape on the prairie. September 2006 : The official ground breaking for Victory Church's new building takes place. 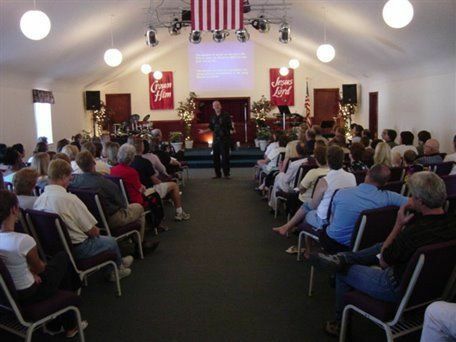 August 2007 : At last, Victory holds its first service in the new building. The sanctuary is a place of full scale worship as the building is dedicated to the Glory of God. 2008: Continuing to grow forward, 5 additional classrooms are added. 2009: Victory moves to two Sunday morning services. August 2010 : Victory continues to grow and the decision is made to 'tear down the wall' between the gymnasium and sanctuary; making the sanctuary large enough for one service again. Summer 2011 : KidzVille construction begins in the West wing of the building; classrooms become small buildings where children focus on Knowing God and His Word, Loving God, His Word and others, and Living their faith out. 2012: Victory Church continues to grow! After prayer and seeking the Holy Spirit the original vision of 'A Safe Place To Grow' is enhanced to become 'A Community of Believers Passionately Pursuing Jesus.' A focus on God's Word, worship and prayer is planted throughout the ministry of Victory Church. Victory Church is all about bringing people into a closer relationship with Jesus Christ through God's Word, worship and prayer. This passionate pursuit of Jesus is bringing in a revival where lives are forever changed. We are witnessing more people come to Christ, being baptized and connected to ministry participation than ever before. Victory's future includes new small groups, discipleship classes and mentorships, raising up leaders and teachers, additional building additions and parking expansions, greater community outreach where lives saved, healed and set free. Victory Church desires to lead you into a passionate relationship with Jesus Christ.